Dr. Harding moved to Charlottesville in the winter of 2011 after leaving her home state of Kentucky. Growing up in Lexington, KY, she attended Transylvania University, a local liberal arts college, acquiring a BA in Biology. Moving to Louisville, KY, for her dental education Dr. Harding graduated in 2010 with her DMD (Doctor of Dental Medicine). She remained in Louisville to start her career working with one of her favorite faculty members who had a private office in the heart of downtown Louisville. Having fond memories of her internship in VA, Dr. Harding chose Charlottesville as the place to dive into her career and make a long term home. 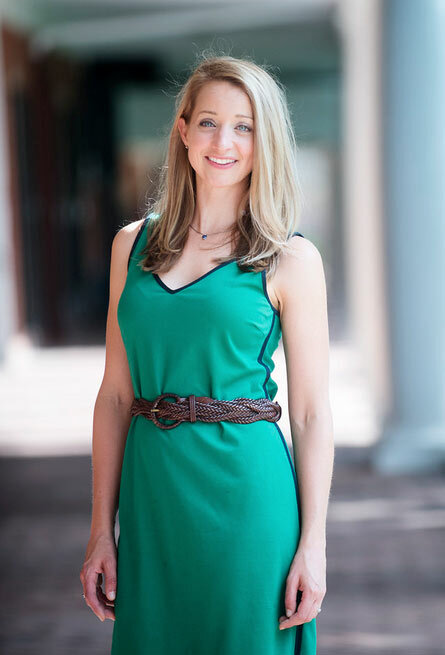 Dr. Harding has diversified herself by working over 3 years in public health, over a year in a pediatric dental practice, and a year in a well established private practice in Harrisonburg. Now ready to step out on her own Dr. Harding strives to focus her practice around conservative dental treatment which places priority on oral health, achieving a smile her patients can be proud to share, and providing a friendly environment free of guilt or dental anxiety. Dr. Harding’s personal mission is to accomplish all of this for her patients while working to reduce the waste generated by the typical medical office through more eco-friendly practices. Dr. Harding is a member of the following professional associations: the American Dental Association, the Virginia Dental Association, the Shenandoah Dental Association, and the Charlottesville/Albemarle Dental Association. She is also currently working to become a member of the Eco-Friendly Dental Association. She serves as an adjunct faculty for VCU, having mentored 4th year dental students at the Piedmont Regional Dental Clinic and at the Charlottesville Free Clinic on Saturdays. In her free time Dr. Harding and her husband, Michael, have a small backyard farm at their house in the downtown area with 2 dogs, 2 cats, and chickens. She is thrilled to start bike commuting to work and make ties with the local cycling organizations around town to promote and support the cycling community. She loves Charlottesville restaurants, weekend trips to the local vineyards and traveling whenever possible.